It was one of the best emails I could ever have asked for. Someone that I knew from my hometown in Glen Allen telling me he had found the one and wanted to capture the moment where he asked her to be by his side for the rest of their lives together. 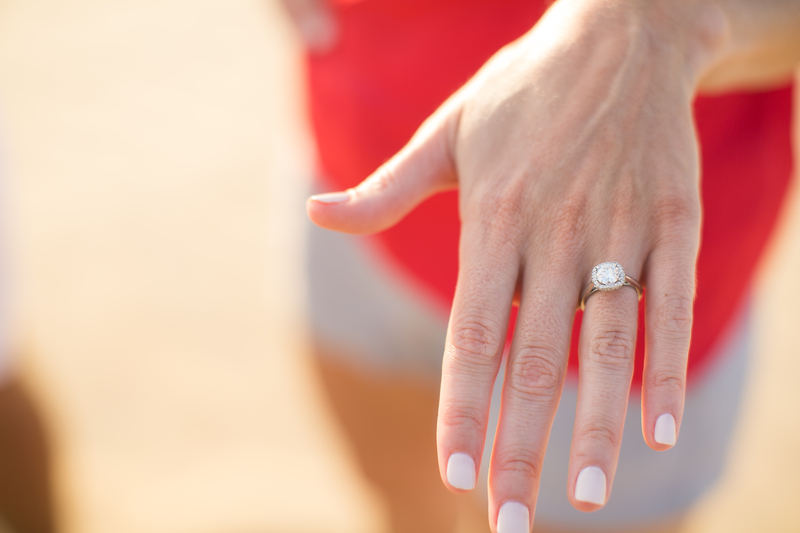 I gasped at the email, wrote back faster than I realized I could ever type and we both said YES– let’s do this! We planned accordingly and I decided to bring my family with me to look less obvious. I dressed like..well, my bummy self and I blended right in..but there’s only so much you can disguise when it comes to actually heading up that hill with babies and a giant 70-200 in your hand! THANK YOU to my husband for carrying them and helping me with this plan! And thank you so much to Sandy, Grant’s mama for letting me walk behind her and then having her hold my camera bag for me so I could jet after them as they headed to the very top of Jockey’s Ridge together! I’ve known Sandy for years, too- she was our school nurse at Hermitage High! I ADORE his whole family and now Ashley’s too after meeting them all! He spoke to her for a minute, and I was very far away. Thank you focal length of 200mm. Thank you Mark III. You helped me capture this when it wouldn’t have been possible otherwise. 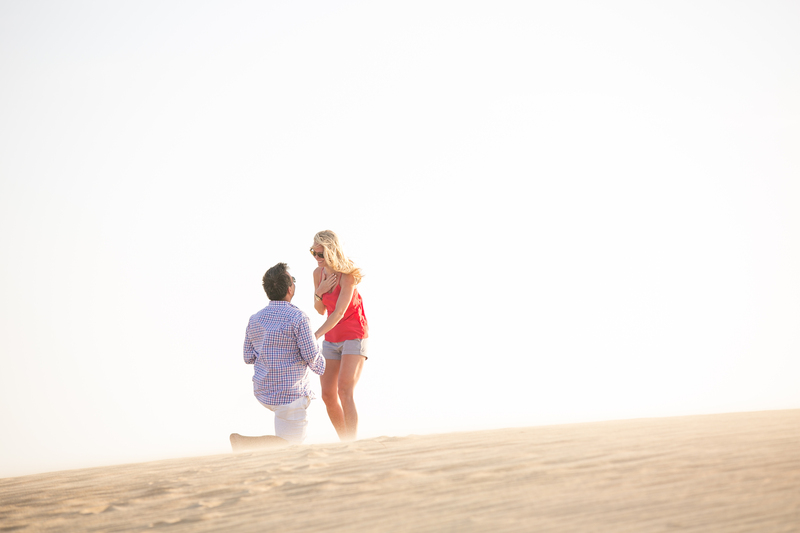 Then..down on one knee..and her reaction from that focal length which I didn’t think I’d be able to see? PRICELESS. Ashley looks like he literally took her breath away and it was an incredible moment! 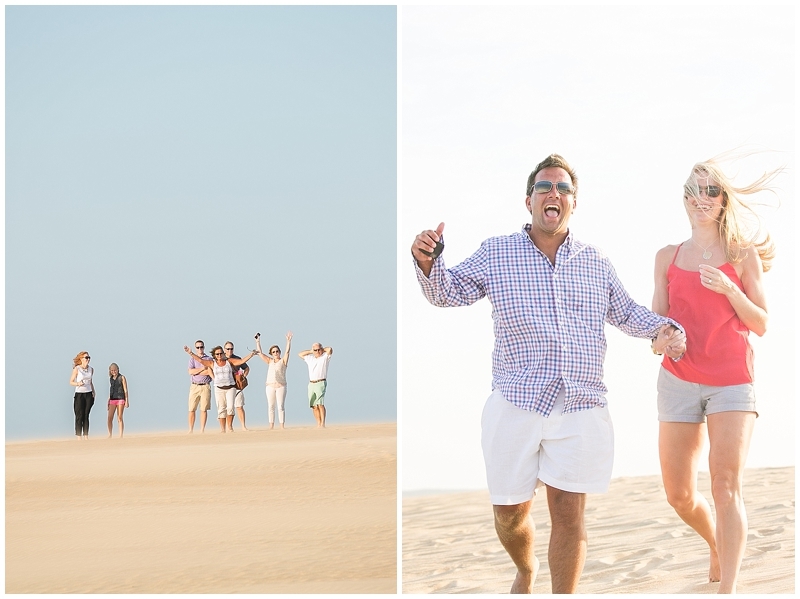 She said yes and their families cheered from another dune and they all hugged and celebrated this gorgeous moment! And..thanks to Hurricane Arthur for staying away long enough for this to happen! beautiful! gosh! what settings did you have it on? everything looks amazing! great job, lady! i wanna go back to the OBX! haha. Great job! Sandy is my first cousin. She was very happy with everything you did to capture this moment for Grant and Ashley.